Travel along the shores of the Dead Sea, the lowest place on earth, to Masada. Ascend by cable car to this last stronghold of the Zealots in their struggle against the Romans. Visit the excavations, Herod the Great’s palace, synagogue and bath-house. 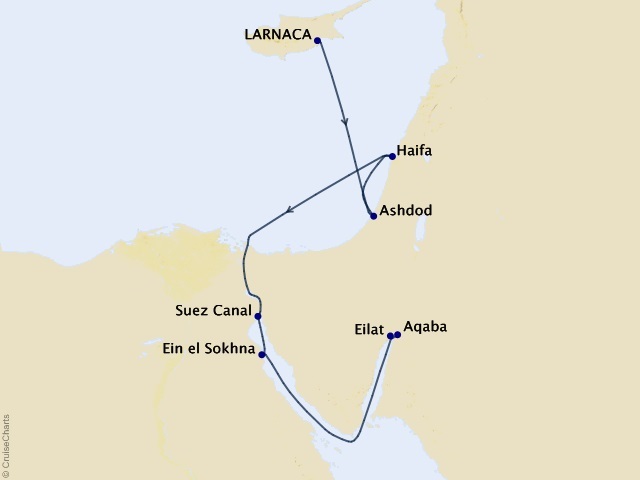 Then, opportunity to enjoy an “unsinkable” swim in the buoyant waters of the Dead Sea. Drive via the Qumran Caves, where the Dead Sea Scrolls were found, on your return to Ashdod. Depart Ashdod to the pre-state underground Ammunitions Factory at Machon Ayalon to learn about the activities of the Haganah. Then, drive through the main streets of Tel Aviv, the “White City”, proclaimed a UNESCO World Heritage Site, viewing the splendid Bauhaus Architecture. Tel Aviv has the largest number of buildings in this unique style of any city in the world! Continue past the Mann Auditorium, home of the Israeli Philharmonic, Habimah Theatre, the impressive Opera House and Yitzhak Rabin Square, dedicated to the late Prime Minister. On to the old port city of Jaffa, magnificently restored. Explore the reconstructed Artists’ Quarter with its galleries and boutiques. Visit the fantastic Israeli Museum at the Itzhak Rabin Center chronicling the life of the extraordinary leader as well as the development of the State of Israel. Time permitting, we’ll stroll through Tel Aviv’s Carmel Market (be sure to sample the delicious strawberries! ) before return- ing to the Port of Ashdod. With Crystal’s all-inclusive cruising, complimentary gratuities for housekeeping (Penthouse Butler, Penthouse Attendant, Stateroom Attendant and Trainee Stateroom Attendants), bar and dining staff (including specialty restaurants and in-room dining service staff) are included. If you would like to present gratuities for other service personnel, please do so at your discretion, or if you have any questions regarding gratuities, please contact the Reception Desk on board. Crystal suggests an 18% gratuity for Crystal Spa & Salon services, which will be automatically added to your bill and charged to your shipboard account for your convenience. 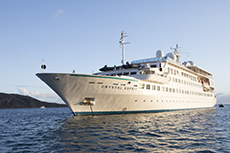 Crystal Cruises is pleased to provide both complimentary Wi-Fi service and satellite Internet access for all guests. All onboard Internet traffic uses satellite communication, and therefore is much slower than land-based high speed Internet service providers. All guests are given complimentary unlimited Internet/Wi-Fi service for the duration of the cruise. Guests can use their personal laptops aboard by connecting to the Wi-Fi service. Please note: It is not possible to connect a laptop to the shipboard phone system or directly to any number ashore. Services such as Skype, iChat, FaceTime, or similar, are not available onboard. Crystal Cruises supports the use of iPads/tablets onboard. Please update your device with the latest software prior to embarkation to ensure that it can be used aboard the vessel. Smoking is not permitted in staterooms or any indoor public areas. There is a small area on deck that is designated for guests who wish to smoke. Special dietary requests must be sent in writing to Crystal Cruises' Onboard Guest Services Department by fax at (310)785-3975, or via email to onboardgstsvcs@crystalcruises.com, prior to departure. Unfortunately, the shallow draft and yacht-like size of the Crystal Esprit – which permit her to access places not possible with a larger ship – do not allow for an elevator. For this reason, passengers requiring the use of wheelchairs will not find the yacht suitable for their travel. Guests should be ambulatory to take full advantage of the array of activities and equipment that Crystal Esprit offers. A trained physician and nurse are on call 24 hours a day. Their professional services, as well as certain medications, are available on board at nominal costs. Guests who require ongoing medication or who have specific dietary needs are advised to bring an ample supply of medication or dietary supplements with them in their carry-on luggage. Cruise port, security and handling fees of $550, transfers, airfare, government fees and taxes are additional for all guests.